We supply and fit Firestone flat roofs in Derby, Leicester, Nottingham, Stoke-on-Trent, Uttoxeter, Staffordshire and Cheshire. Designed to give you up to 50 years of protection, our Firestone flat roofs offer unrivalled weather performance against the most extreme conditions. You won’t have to think about replacing your roof for a very, very long time. 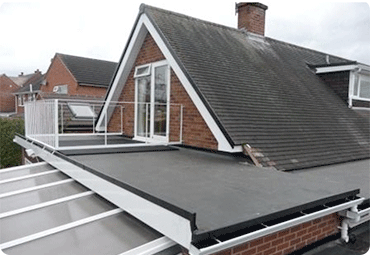 We offer the UK’s leading flat roof system by Firestone. 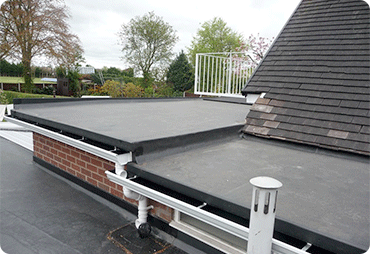 This rubber flat roof system is flexible, weather resistant and extremely low maintenance. The Firestone rubber flat roof is able to withstand extreme weather conditions and is used extensively worldwide for its quality insulation. 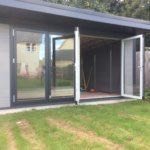 Our flat roofs can be incorporated into properties such as outhouses, extensions, garages and small domestic buildings, due to their innovative shape and design. Firestone has been successfully tested in all climates for over 40 years. The Firestone rubber roof offers a seamless design that can be used on all types of flat roofs. 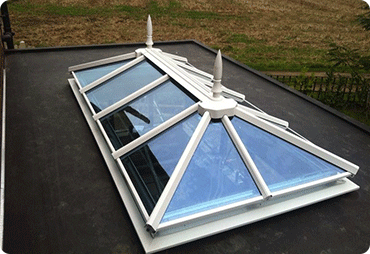 Its one-piece system bonds directly to roofing boards. This revolutionary flat roof system offers unrivalled resistance to sun and UV radiation, the Firestone roof is extremely durable despite extremes of high and low temperatures – requiring little or no maintenance. For your peace of mind every Firestone flat roof installation from Carrington comes with a guarantee that Firestone roof materials will last for at least 25 years. Firestone roofs are an extremely durable product and are manufactured to withstand the harshest of weather conditions. We fully expect them to last for 40 years after installation.